This workshop will be held on Sunday 8 February 2009 from 8:00 am to 3:00 pm at the Sheraton Hotel, Riyadh. More info:list of speakers, registration form, workshop agenda. A quick reminder: “Cisco is pleased to invite you to Cisco Expo 2009, scheduled to take place at the King Fahad Cultural Center in Riyadh on February 9th and 10th, 2009“. Make sure to register here. Read more: Mohammad Alrehaili will be posting live updates of Cisco Expo 2009, Arab Crunch: Cisco Expo Saudi 2009 on Feb. 9 With Free Live Streaming. Update: Cisco is having a hard time maintaining the registration process. I keep getting An error occurred while processing your request. Please contact Customer Support for further assistance at customersupport@starcite.com. Got this email from a friend: “Cisco is pleased to invite you to Cisco Expo 2009, scheduled to take place at the King Fahad Cultural Center in Riyadh on February 9th and 10th, 2009.” No other information on Cisco’s site regarding that, even the online chat support from Cisco was useless. So Keep an eye on Cisco’s Middle East Events page for future updates. Update: Mohammad Alrehaili will be posting live updates of Cisco Expo 2009. This is probably the first time Google ever had a conference in Saudi Arabia. Although it is concerned with the enterprise I still find it interesting and worth checking out. 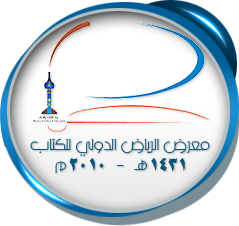 The conference will be held on June 2nd 2008 in Marriott hotel in Riyadh. For me I am interested in Google Maps, as you can see (click here to view the Riyadh city map) Google’s map of Saudi Arabia is what we call in the tech world out of date. In this conference there is a session covering “Introducing Google Apps & Maps”. I truly hope they will add real support for Saudi Arabia and I would finally open my iPhone’s Google Maps app and use it how it is supposed to be used. With real maps and actual data! Google Enterprise Executive Briefing main site with the agenda information. Registration link for the Riyadh conference on June 2nd 2008 at the Marriott hotel. Marriott hotel in Riyadh location and as you can see, almost no roads are programmed in the Saudi Arabia google map. Unlike Kuwait, Abu Dhabi and Dubai.